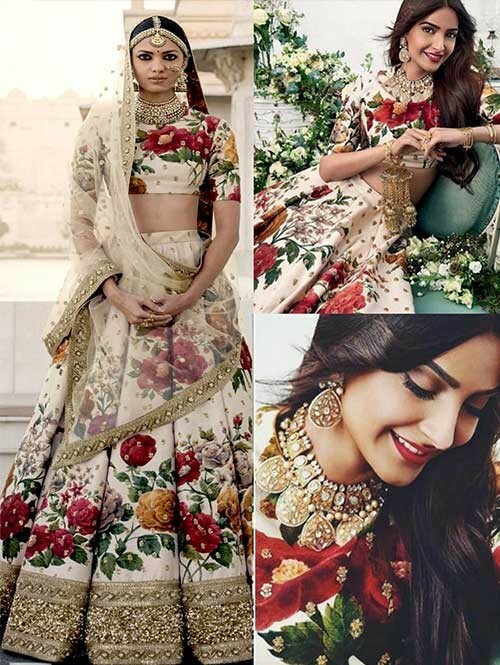 Look stunning in thisSonam Kapoor Wedding Printed Banglory Silk Lehenga Choli. 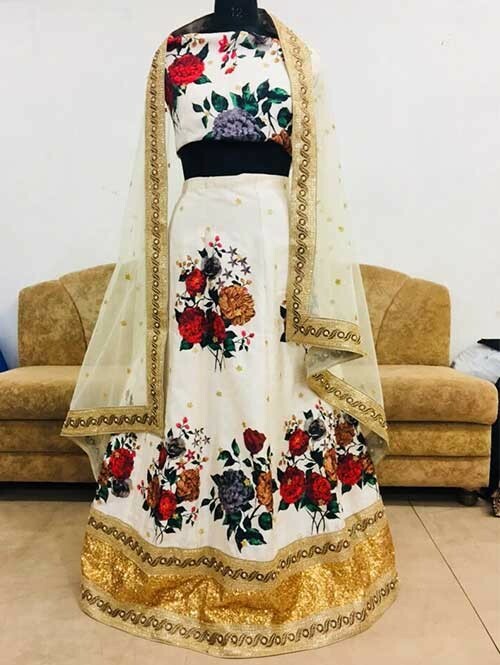 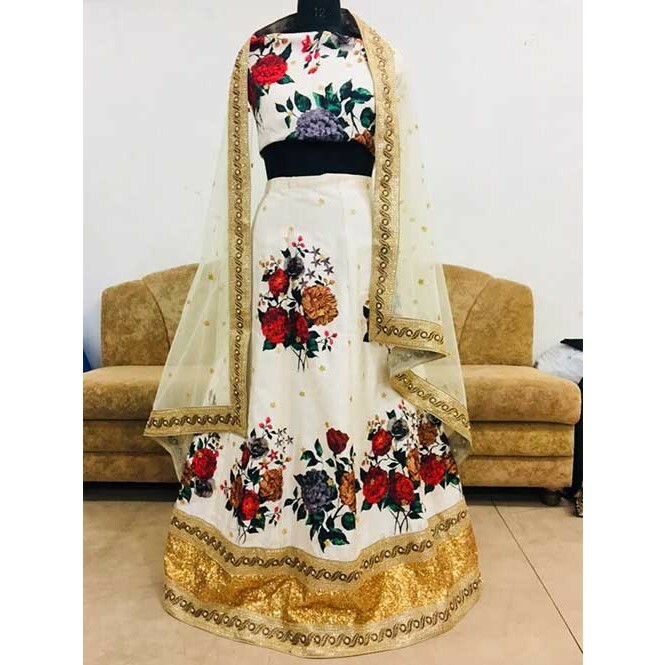 White Banglory Silk Bridal Wear Sequins Work Lehenga Choli. 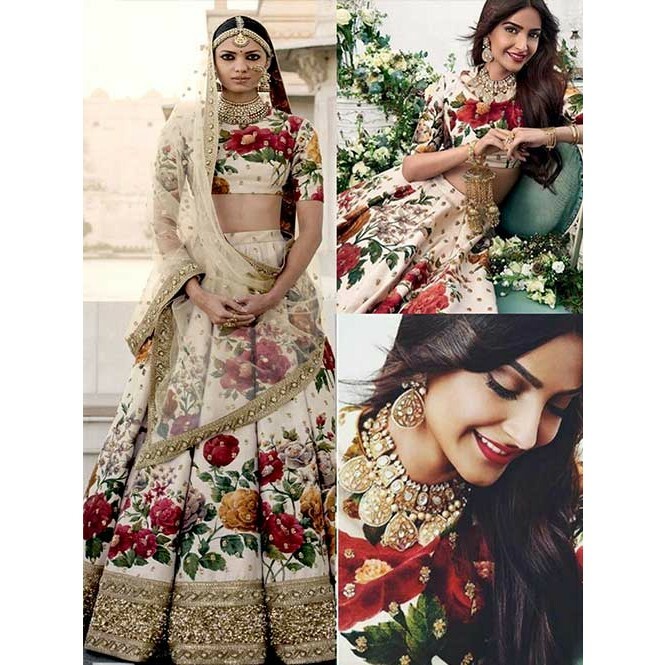 This product consists of semi-stitched lehenga, choli and dupatta.